Achieving a divorce decree you can live with is sometimes just the first part of the battle. Fortunately, the law is set up to allow you to compel your ex to comply with the terms of your decree or judgment, even if he refuses. Your decree is an enforceable court order, so if you reach out to the court, justice will almost invariably be done. It might take some time and effort, however. Contact the courthouse in the county where you received your divorce decree. Try to speak with a judge’s law clerk, if possible. Explain to him what part of your decree your spouse is violating. Depending on the nature of your problem, you may have different avenues of recourse. If your judge’s law clerk is not available, ask to speak with the court clerk’s office. File a motion for enforcement or contempt, depending on the instructions you receive from the court. The court clerk can usually give you the proper forms to complete. File them under the case or docket number written on your decree and attach a copy of your decree. Attend the scheduled court hearing so a judge can address your problem. The court clerk will usually give you a date when you file your motion. Be prepared to receive less from the judge than you’re asking for. In most cases, he will issue your ex-spouse a warning. He will probably issue another court order, directing your ex-spouse to do what the decree already ordered him to do, within a certain period of time. File another motion with the court if your spouse still doesn’t comply. By now, you’ll be an experienced pro with the process. This time, attach both a copy of your decree and the most recent court order. If your spouse forces you to take him back to court a second time, the judge will probably order sanctions against him, including payment of your court costs, jail time for contempt or a new parenting plan that eliminates or restricts his visitation. If your visitation has been shortchanged, a judge might order your ex-spouse to give you additional time with your child to make up for it. If your ex-spouse owes you money, a judge could direct a lien against his property or interception of his tax refund. Virginia law is firm that a child has a right to contact with both parents. If you deny visitation without court approval, and do it often enough, you could lose custody. If circumstances make it unsafe for your child to spend time with her other parent, you can ask the court to issue an order changing your visitation arrangement. However, it's not likely that a judge will deny visitation entirely. Whether you live in Washington or any other state, you can usually save yourself a lot of time, money and stress if you can negotiate a parenting plan with your ex when you divorce. 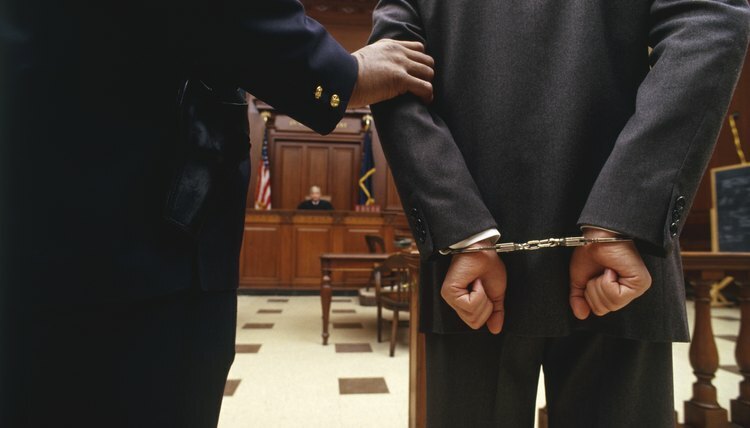 If you have to go to trial so that the court can decide custody, Washington law is exacting. The court even runs background checks on both parents. After the court makes an order, it can be difficult to undo it, but an appeal is one option. Divorce decrees often contain details about property division, child custody, child support payments and alimony, but ex-spouses don’t always fully comply with the terms of the decree. Since a divorce decree is a court order, your ex-spouse may be guilty of contempt of court if she violates it. Therefore, you can go to court and ask for help with its enforcement.